Such viruses are known as phages, and the research shows how particles of a single type of virus can attack in waves—first weakening the bacterial defences, then killing the bacteria. The University of Exeter study shows single virus particles cannot completely counteract CRISPR-Cas on their own—but if enough particles are present together, "teamwork" allows them to overcome it and establish an infection in the bacterial population. 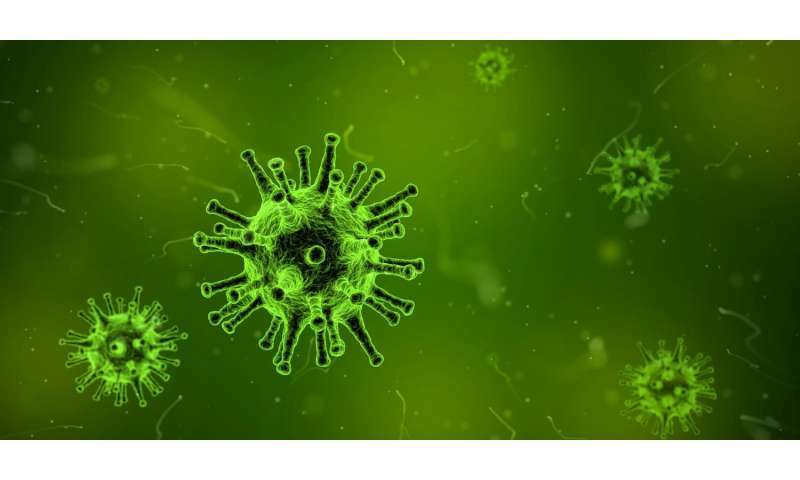 "A high enough number of viral particles can tip an attack in their favour," said first author Dr. Mariann Landsberger, of the Environment and Sustainability Institute on the University of Exeter's Penryn Campus in Cornwall. Senior author Dr. Stineke van Houte said: "This work shows that phages can work together to disable bacterial immune systems, and this has important implications for using phage to treat human infections, since the dose of phage that is used can determine whether the phage is able to kill the bacteria.